Business Consulting Insurance Kentucky. As a business consultant, you are entrusted daily with giving your clientele the advice they need grow their business and boost their profits. However, if the advice you give does not turn out to be what's in the best interests of your client, you can end up facing a lawsuit as a result. 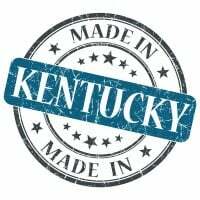 Business consulting insurance Kentucky protects your business from lawsuits with rates as low as $37/mo. Get a fast quote and your certificate of insurance now. You must have a plan in position to protect your consulting business from inherent risks that you face, including property damage, lawsuits, accidents, weather, theft, and other events. With a comprehensive business consulting insurance Kentucky plan in place, you protect your business should things go awry. Each business is different, so the plan that works for one business is not necessarily the insurance plan that works for all. An insurance agent can help you make that determination. General liability insurance covers the costs associated with paying medical bills, replacing any property that is damaged and paying any legal costs associated with lawsuits or claims against your business. If a settlement is rendered in your case or the court finds against you, any judgement can be paid by your insurance policy, up to the limits of the policy you choose. In addition, a business consulting insurance Kentucky policy provides protection for your business property, even if the space you lease or the property your business insures is leased. This includes damage by weather, fire, vandalism, theft, and other covered perils. Moreover, your policy can provide coverage for the interruption of your business and the loss of business income. This may include ongoing expenses such as salaries and rent or for the costs of relocating following events such as fire. 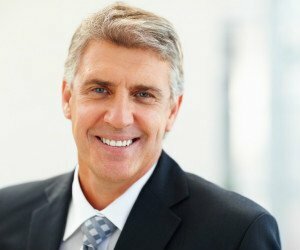 Request a free Business Consulting Insurance Kentucky quote in Alexandria, Ashland, Barbourville, Bardstown, Beaver Dam, Bellevue, Benton, Berea, Bowling Green, Brandenburg, Cadiz, Calvert, Campbellsville, Carrollton, Central, Cold Spring, Columbia, Corbin, Covington, Crescent Springs, Crestview Hills, Crestwood, Crittenden, Cynthiana, Danville, Dawson Springs, Dayton, Douglass Hills, Eddyville, Edgewood, Elizabethtown, Elsmere, Eminence, Erlanger, Flatwoods, Flemingsburg, Florence, Fort Mitchell, Fort Thomas, Fort Wright, Frankfort, Franklin, Georgetown, Glasgow, Graymoor-Devondale, Grayson, Greenville, Harrodsburg, Hartford, Hazard, Henderson, Highland Heights, Hillview, Hodgenville, Hopkinsville, Hurstbourne, Independence, Indian Hills, Irvine, Jeffersontown, La Grange, Lakeside Park, Lancaster, Lawrenceburg, Lebanon, Leitchfield, Lexington-Fayette, London, Louisville, Ludlow, Lyndon, Madisonville, Marion, Mayfield, Maysville, Middlesborough, Middletown, Monticello, Morehead, Morganfield, Mount Sterling, Mount Washington, Murray, Newport, Nicholasville, Oak Grove, Owensboro, Paducah, Paintsville, Paris, Park Hills, Pikeville, Prestonsburg, Princeton, Prospect, Providence, Radcliff, Richmond, Russell, Russellville, Scottsville, Shelbyville, Shepherdsville, Shively, Simpsonville, Somerset, Southgate, Springfield, St. Matthews, Stanford, Stanton, Taylor Mill, Union, Versailles, Villa Hills, Vine Grove, Walton, West Liberty, Wilder, Williamsburg, Williamstown, Wilmore, Winchester and all other cities in KY - The Bluegrass State.